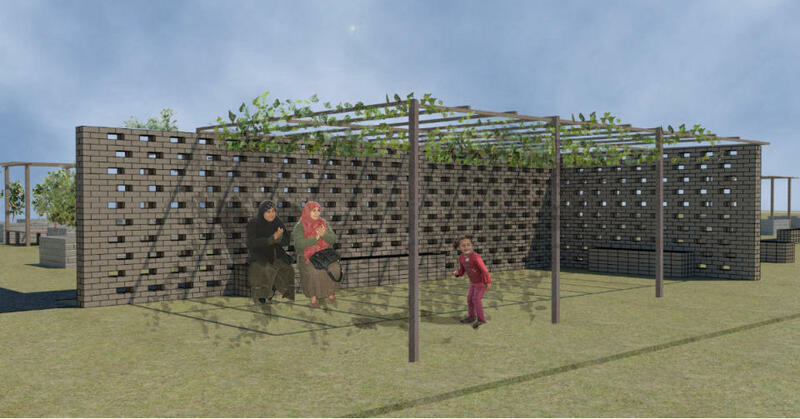 This project is part of Greening Bourj Al Shamali ( http://bourjalshamali.org/ ), an initiative by the local committee of Bourj Al Shamali, a Palestinian refugee camp in south Lebanon, to create the camp's first public green space along with a community garden. 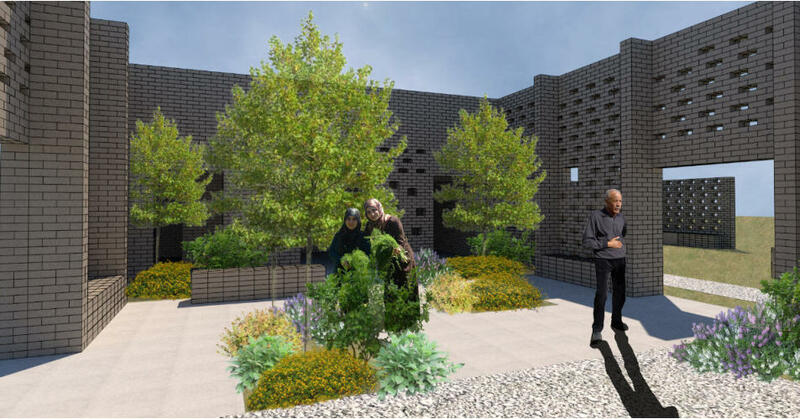 AHO’s Scarcity and Creativity Studio, Oslo, has been invited to support the local community’s efforts and to explore the opportunity of working with them on this endeavor. 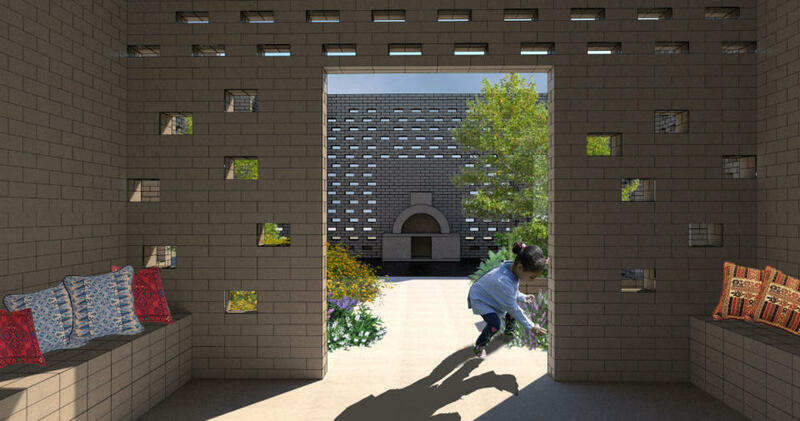 The two preliminary initiatives are: (i) the creation of a communal space with street furniture for the camp's first public green square/space; and (ii) a workshop cabin for the camp's new community garden. 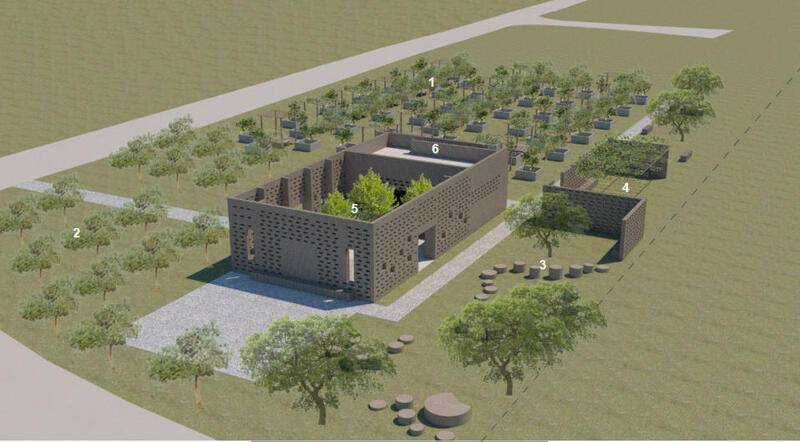 For both these initiatives, AHO will be working with the local community, and AHO students will be joined by a group of youth who have been trained in construction work by the vocational center in the camp ( http://www.socialcare.org/portal/vocational-training/16/ ). The Setting: Bourj Al Shamali was founded in 1948 as a temporary camp for Palestinian refugees coming mainly from the agricultural regions of Tiberias and Hawla. Now, over half a century later and housing 22,000 people, it has taken on the air of an overcrowded, unplanned, permanent city, with five times the original inhabitants occupying the original site run by the UN. The dogma of its temporariness remains unquestioned even among its third- and fourth-generation residents, who dream still of returning to their villages and farms in Palestine, now Israel – for some just 35 kilometers away from the camp where they reside. This insistence on the camp’s temporary nature, central to the status of a refugee, has for more than six decades yielded a long and persistent refusal to create any urban amenities in the camp. Though the inhabitants of Bourj Al Shamali regard themselves as an agricultural people - as evidenced by the many painted murals in the camp - there are no public green spaces there, nor do they plant crops that might supply some of the camp’s food needs and thereby sustain their traditional link to the land. Few plants are grown, even for pleasure, and the only green spaces are a few trees scattered in a sea of concrete. The lush private fields where many camp residents work as seasonal workers all lie beyond the camp's perimeter. The feeling in Bourj Al Shamali has long been that the planting of crops or trees, which literally involve the act of putting down roots, would seem to imply an acceptance of the camp’s permanence. Yet the tragic consequence of this is that the camp has become an unrelievedly dense, increasingly unlivable urban environment, while each successive generation of camp dwellers has had an ever weaker connection to the agricultural life that remains so centrally enshrined in the community’s self-image. In a symbolic way, they are undermining their right of return: if they were ever to be restored to the land they cherish, they would not know how to look after it. As a collateral consequence, diets are worsening and cases of malnutrition have increased. 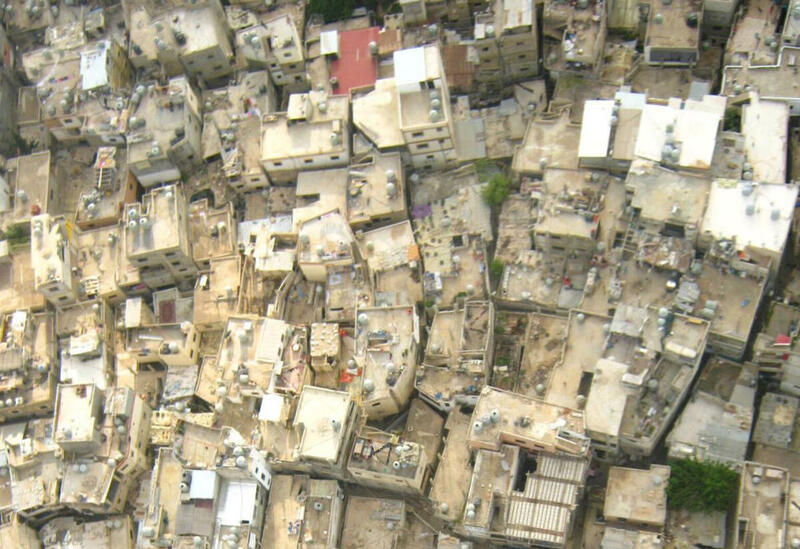 To add a further level of complexity, large numbers of Palestinian refugees from Syria have now moved into Bourj Al Shamali. The arrival of these twice-over refugees has resulted in a deterioration of the already overcrowded living conditions, and raised new questions in the camp about different notions and identities of being a Palestinian refugee. 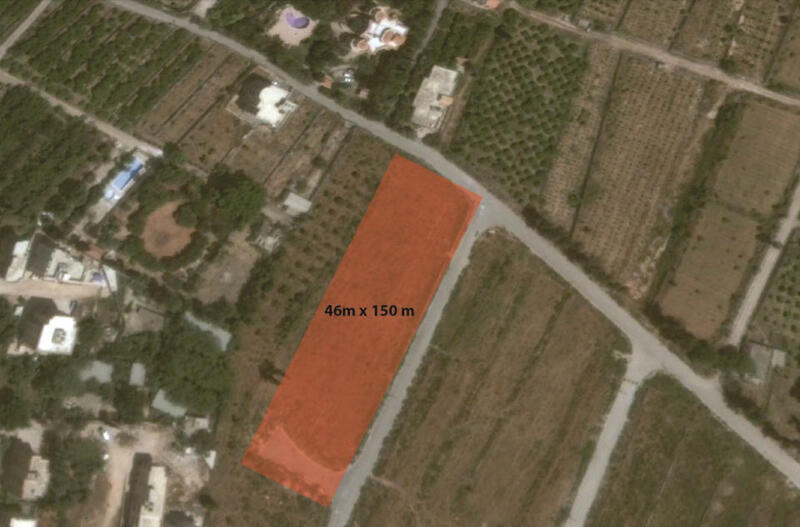 Bourj Al Shamali Camp is located 3 kms. 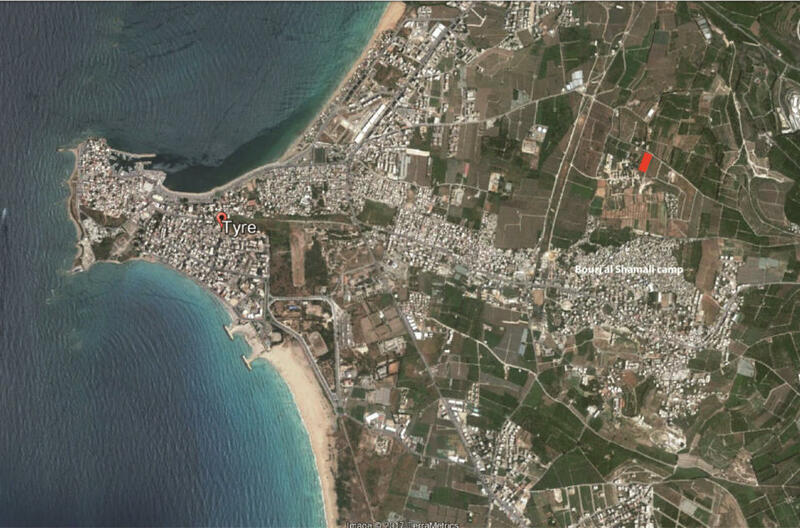 east of Tyre, Lebanon. 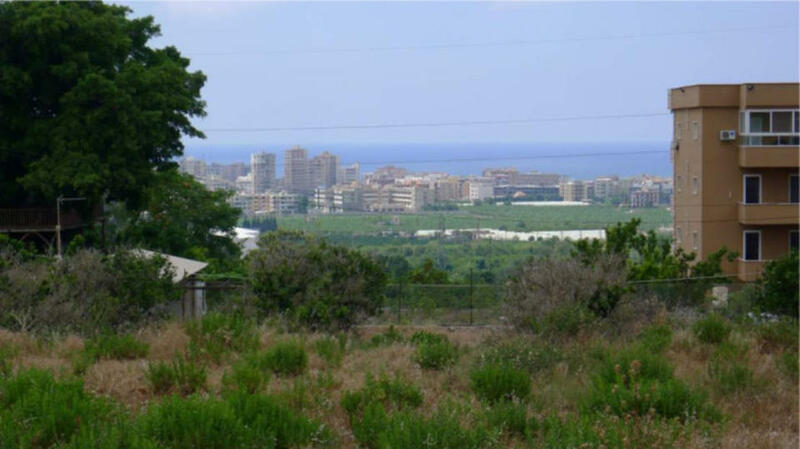 In late October 2017, due to the tensions in southern Lebanon and the advice of the Norwegian Foreign Ministry not to travel to the area, SCS had to cancel the building of this project as it was deemed to dangerous to spend five weeks on the site. The drawings shown below are the state of the project when it was cancelled. The proposal was sent to the camp for comment. Upon receiving these comments SCS would change the project to adapt it to user’s needs. The intention for the future is to finish the project and try to organise its implementation through it’s finance by the Norwegian Embassy in Beirut and using camp youth who have been trained in building crafts and are currently unemployed, to build it. View of the walled garden, with bread baking oven at the end. View of the walled garden, from inside the community room, with bread baking oven in the background. 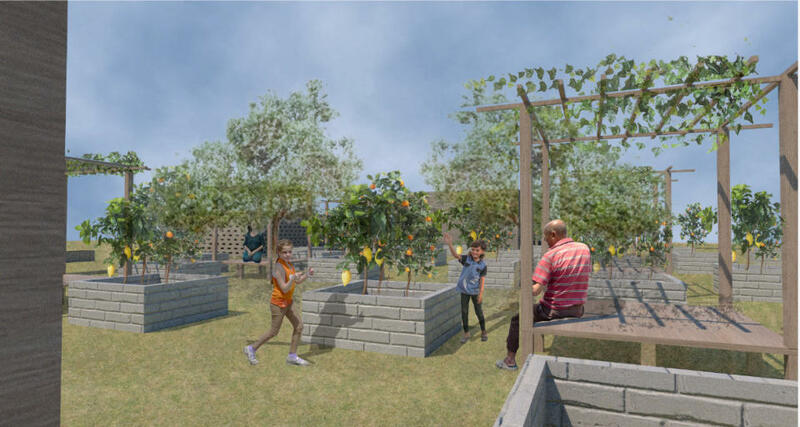 View of the vegetable and fruit growing planting boxes and sitting areas.